Amsterdam, 22 October, 2018 – The Things Industries today announced a partnership with Slovenian based Solvera Lynx, a company specialized in information and communication technologies on providing solutions for energy management and remote monitoring in industry & buildings, utilities, telecommunication, agriculture and transport sector. 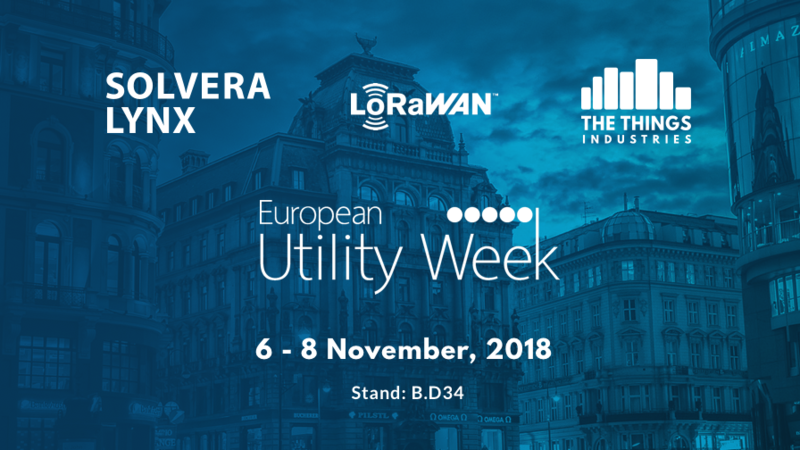 Both Solvera Lynx and The Things Industries will be presenting at the upcoming European Utility Week on 6-8 November in Vienna, Austria (link). 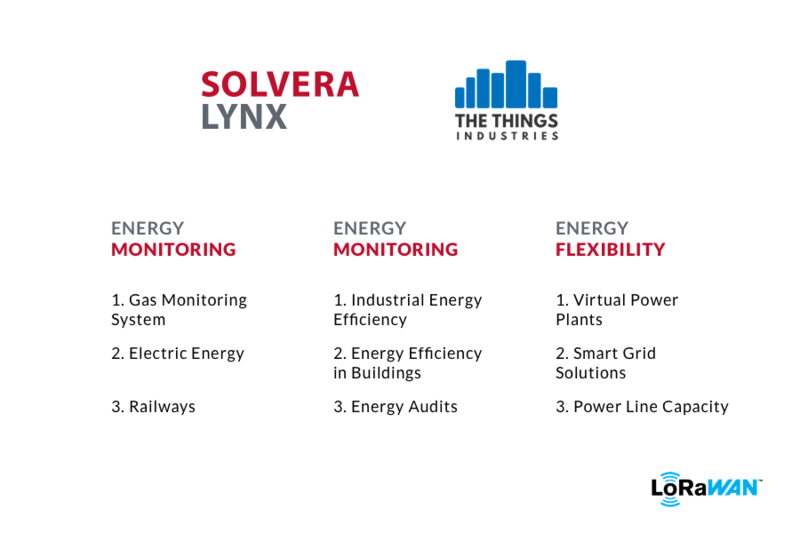 As cities and industrial companies move towards efficient, advanced technologies, the offering from The Things Industries and Solvera Lynx on energy management is the game changer and a cornerstone of a new transformation. These solutions for smart energy management (EM) are based on wireless LoRaWAN® technology, which works as a better alternative than the classical wired networks due to its long range, unique penetration capabilities, flexibility, easy operation & maintenance, and safe & reliable data transfer. The Things Industries is the enterprise arm of The Things Network. Started from Amsterdam in 2015, it has now expanded to over 800 cities around the world. With over 5000 LoRaWAN gateways connected, there is ubiquitous connectivity across the major cities and in a case where there is no network, setting one up is a relatively easy with easily available documentation and resources. This network enables various new emerging practical applications such as smart parking, remote monitoring, energy management among others. The features from The Things Industries are designed for small to large enterprises that need carrier grade deployments. Adding enhanced security with HSM (hardware secure element) based Join Servers, enterprise grade integrations, advanced network diagnostics, multi-tenancy and firmware updates over LoRaWAN (FOTA). This partnership with Solvera Lynx is quite a strategic one for us. LoRaWAN has been used for a large number of energy monitoring applications and with this we can cater to the growing demand of these solutions within the ecosystem. Not only have we recognized the IoT potential; we are working on communication networks and sensing solutions to drive the IoT applications to its full potential. We produce most advanced hardware and software platforms, making a quality leap from popular discussions to a reality of connected devices in cities and harsh industrial environments. For more information, make sure to visit the European Utility Week in Vienna during 6-7th November, 2018. To arrange a demo or evaluate the solution, please register here.